Westpac is a provider of travel insurance, car insurance, home & contents insurance, home loans, credit cards, savings accounts, term deposits and online banking. The table below displays a snapshot of Westpac travel insurance policies on Canstar’s database, sorted by Star Rating (highest to lowest). Please note the products and Star Ratings displayed are based on a couple travelling to the USA aged under 70. 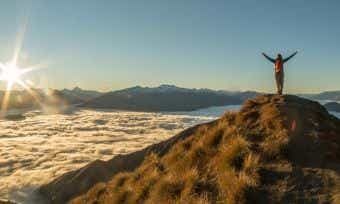 What types of travel insurance does Westpac offer? 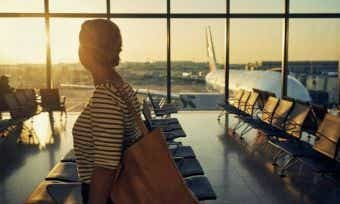 Westpac offers both domestic and international travel insurance, as well as an annual multi-trip policy if you’re a frequent international traveller. 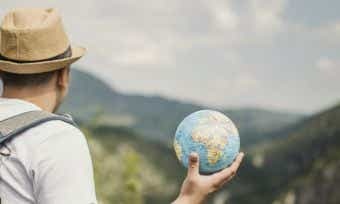 If you’re unsure as to which kind of travel insurance is most appropriate for you, or would like to better understand the differences between the different types of cover, check out our comprehensive guide on travel insurance. What does Westpac international travel insurance cover? Medical cover: Westpac offers unlimited medical and hospital cover with up to $1,000 in dental expenses. You must provide a medical practitioner’s report confirming you’re unfit to travel. Loss/theft of personal items: Westpac also covers the loss or theft of personal items, including trip delays or damage. It will pay up to $10,000. Travel delays/cancellation: Westpac Comprehensive offers unlimited cancellation cover and lost deposits. It also offers additional travel and accommodation due to strikes, natural disasters, riots or other severe weather conditions that may delay your trip. Rental car excess: If, as a result of an unexpected event, the rental vehicle you have hired is stolen or damaged during your journey, Westpac Comprehensive will reimburse you for any non-refundable excess payable to the rental vehicle company up to $3,000. 24/7 assistance: Westpac’s emergency worldwide assistance team is available 24 hours a day via phone. Lost or stolen documents: Westpac will cover the cost involved in replacing important documents that have been lost or stolen. For more details about what is and isn’t covered, check out the Product Disclosure Statement (PDS) on the Westpac website. Does Westpac have overseas hospital cover? For more information, read the Westpac Product Disclosure Statement. Does Westpac cover lost, stolen or damaged luggage? Yes, Westpac will cover you up to a certain amount for replacing or reimbursing luggage and personal effects that are lost, stolen or damaged while travelling. Under the Westpac international policy, up to $10,000 worth of your belongings will be covered. Westpac will also cover the cost of essential medication if lost or destroyed and has sub-limits for items such as laptops, tablets and cameras. Again, there are exclusions that come with Westpac policies. For personal items and jewellery, you must specify them before applying, and all items must be approved by Westpac; otherwise they will not be covered. Ensure you check the PDS to find out more about what items and luggage are and aren’t covered. Does Westpac cover cancellation fees? Yes, Westpac Comprehensive Travel Insurance will provide unlimited cover on lost deposits and cancellation fees for pre-paid travel arrangements due to unforeseen circumstances outside the traveller’s control on a policy. Read the Product Disclosure Statement for more information. How do you take out travel insurance from Westpac? You can purchase a Westpac policy by first comparing your options with Canstar and then generating a quote online. The generator should ask questions such as travel dates, the age of the travellers and the destination, as well as optional extras including snow sport and sub–limits on valuables. It should take around 10 minutes. How do you lodge a claim with Westpac? Calling its 24/7 claims line on 1800 502 077 (domestic enquiries) or +617 3305 7499 (international enquiries) and talking to one of its qualified customer service representatives. Westpac was Australia’s first bank, and its first officially incorporated company. Established in 1817 as the Bank of New South Wales, Westpac now serves around 13 million customers. Westpac is one of the big four Australian banks and it owns a number of other banking brands including St. George, Bank of Melbourne, BankSA and RAMS. If you’re a landlord or own an investment property, watch Westpac’s series of home loan tips for investors. Community focus areas: Westpac directly supports disaster relief for businesses and communities, addressing financial and educational disadvantage in Aboriginal and Torres Strait Islander communities, and microfinance for marginalised small business people. Supporting community organisations: Westpac provides financial solutions for not-for-profit businesses and long-term group community partnerships. Westpac Foundation: This foundation funds innovative social enterprises that are making a difference in the world. Charitable giving: Westpac also has an employee volunteering scheme and a workplace giving program. Tackling climate change in five key ways, including reducing water consumption to meet the targets in the UN CEO Water Mandate, and restoring Australia’s unique biodiversity. Reduced greenhouse gas emissions by 40% since 1996. Participates in several external initiatives to help improve the environmental performance of its business, such as the UN Global Compact and UNEPFI.